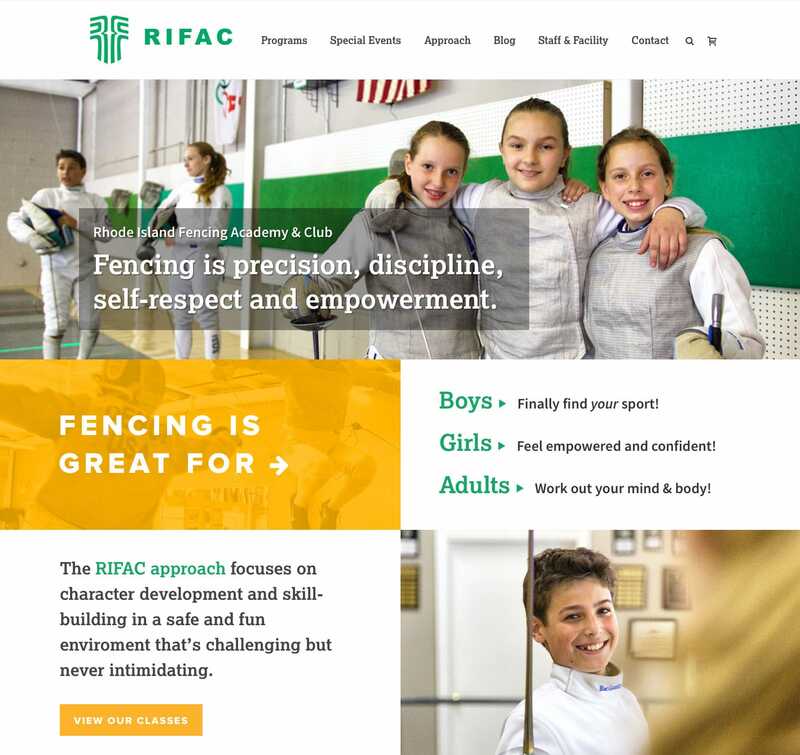 Jill and Alex Ripa, the wonderful, hard-working owners at Rhode Island Fencing Academy (RIFAC), needed a way to show parents how truly beneficial and fun their fencing classes can be for kids. 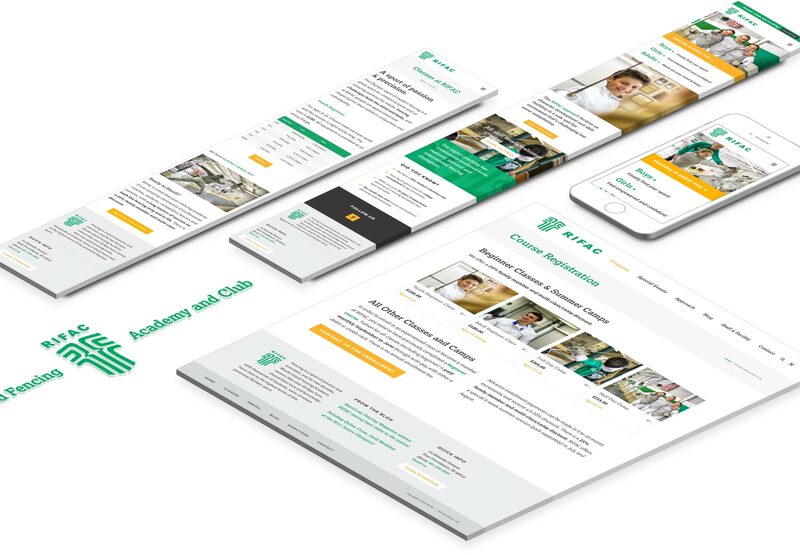 I provided them with an easy-to-update web platform that showcases the breadth of their course offerings, the professionalism of their East Providence facility, the happiness of their students, and an easy way for parents to purchase class memberships online. The Rhode Island Fencing Academy site content is screen responsive, and the site and ecommerce theme was custom designed with an easy-to-update WordPress backend. I also created a postcard, a newspaper ad and a shelter ad to match their new site.